Union's foreign policy chief Mogherini describes Turkey 'candidate country, partner of strategic importance to EU'. 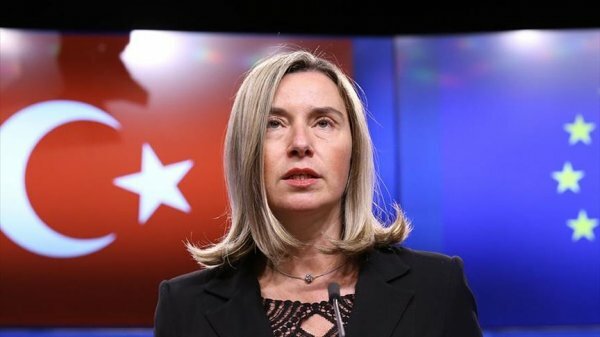 “We reaffirmed importance we attach to relations with Turkey which is a candidate country, a partner of strategic importance to EU,” Mogherini told Turkey-EU Association Council meeting in Brussels. She also said the cooperation between Turkey and the EU is important both for Syrian refugees and a political solution in the civil war-weary country. 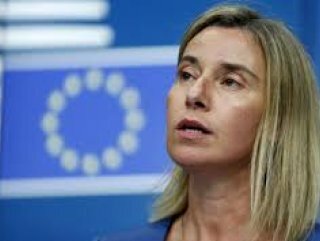 On Turkey's fight against terrorism, Mogherini said the EU will maintain its support for Turkey's counter-terror efforts. "EU lists PKK as a terrorist group and this is not a discussion among member states," she said. In its 30-year terrorist campaign against Turkey, the PKK has taken some 40,000 lives, including women and children. The YPG is its Syrian branch.